Braun’s new Vidi Proof camera is ideal for hobbyists and families. 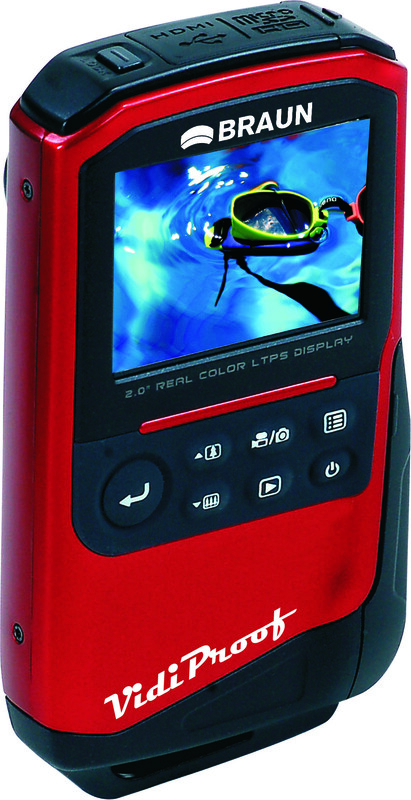 Designed with water sport enthusiasts in mind this camera records action and shoots photos with clarity. Bring it to the beach and make movies underwater up to a depth of 3 metres, it’s great for snorkelling, body boarding or capturing the waves whilst surfing. It’s also a fun piece of kit for kayaking and canoeing. As well as making video recordings of up to 60 minutes, the device can also take photos with a 5 megapixel s CMOS sensor and 4x digital zoom. 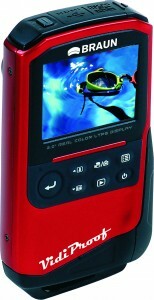 Other features include a self-timer, image playback and a 2.0 inch LCD screen. It holds a Micro SD card up to 16GB and runs on 2x AA batteries. Previous article Previous post: Delkin's December Lucky Dip!